It goes without saying that call recording should be quite high on the list of necessities for any business that communicates over the phone (we even included it on our list of cold calling tips). Email provides us a written paper-trail of communications, and persistent based messaging has taken over the collaboration world for the simplicity it brings. So why shouldn’t our phone calls be saved for later reference, as well? In many industries, this isn’t only good practice, but also a legal requirement. Thankfully, most Business VoIP and even Contact Center solutions will include their own form of call recording capabilities as a built-in feature. But, of course, there might be a better option for your business, as there always tends to be. Stand-alone call recording software is an interesting option that might fit the bill better than a limited feature included in your hosted PBX platform. Before we jump straight to a direct comparison, I want to provide some quick context: call recording hasn’t changed that much, but there has been a recent shift towards the Cloud. Like most processes, moving to the cloud simply brings a host of benefits — the service becomes cheaper and more accessible, with even greater functionality and scalability. Prior to the introduction and main-stream usage of Business VoIP services, call recording was typically done through on-premise hardware. Of course, there is always the simple act of putting your phone on loud-speaker and recording the conversation with another device, but that doesn’t account for storage, management and analysis. On the flip side, Call Recording as a Service hosted solutions enable vendors to directly integrate the functionality with other services and tools, offer extreme flexibility and scalability, provide constant global access to recordings, and expand functionality with things like natural language processing and sentiment analysis. However, moving beyond standard legacy call recording, and more modern hosted solutions, businesses now have the option of utilizing a stand-alone Call Recording as a Service platform, or utilize the functionality that is generally included with their Business VoIP service. To put it simply, as Business VoIP, and similar Contact Center solutions, have continued to be embraced by more and more organizations and providers have only continued to expand their platforms and functionality. Call Recording was one such feature that Hosted PBX providers felt would be a strong addition to their platforms. But, instead of build their own call recording solution — as it is just an extra feature, not a stand-alone platform — these providers were willing to integrate existing tools. But, stand-alone call recording hasn’t gone away, and still stands as a strong option for organizations that require the extra functionality provided through these more dedicated platforms. Neither is an out-right better option, but rather one will be the better option depending on the needs of your business. Hosted VoIP solutions, that range from SMB friendly players all the way up to Enterprise ready service providers, have a wide range of functionality built in. For one reoccurring cost, organizations can gain access to more advanced features without having to pay extra, with tools like IVRs and call routing. Call Recording is another popular function offered by most existing Business VoIP providers, usually included in the package as an extra feature, or offered as an add-on to the platform. Chances are that if your organization is already utilizing a popular platform, like those from Nextiva, RingCentral, Vonage or Five9, your organization already has access to call recording. Why Use Included Call Recording Functionality? The biggest thing here is that your organization is already paying for call recording if it is included. It would almost seem as a no-brainer to save money and just utilize the recording offered by your existing VoIP service — after all this would bring with it the biggest benefit of simplicity. Unified Communications is all about integrating multiple functionalities into the same platform, and call recording is another example of that: instead of requiring users to manage and juggle another platform or application, call recording built right into the solution can save time and money with ease of use. Stand alone solutions might require training or a more complicated integration process. 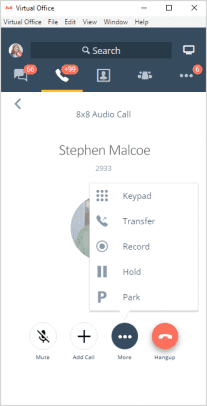 In fact, most feature-provided call recording will not be their own standalone platform, but rather white labeled/integrated functionality from existing solutions. This means your team gains proven functionality, without having to worry about compatibility or internal integration. The absolute simplicity this offers. By implying relying on just one cloud communication platform, users don’t have to deal with the extra clutter, organization, management and even cost associated with utilizing multiple platforms. As the call recording is an included feature, or added on to your existing service, organizations do not have to worry about any compatibility issues. Due to the nature of cloud solutions, the implementation and integration is handled through the provider. Its built directly into your existing PBX platform so everything works seamlessly. Setup and Management is handled through the same portals and analytical dashboards as any other aspect of your Business VoIP system, really driving home that simplicity aspect of a Unified Communications and collaboration platform. Where Does The Feature Fall Short? But, at the same time, there of course some drawbacks to simply relying on built-in call recording functionality. Another common theme among UCaaS solutions is providers spreading themselves a bit too thin. When a vendor aims to cover a large number of processes and functions, these individual solutions can be weaker than stand-alone tools that are really dedicated to solving the issue at hand. This is particularly true for call recording software. While the nature of built-in call recording solutions can lead to a simpler experience for the end-users, the sheer functionality might be limited in scope. Dedicated call recording providers are building their entire platforms around this concept, and will expand their solutions into related functionality. Overall call recording will be a bit more limited in scope, potentially missing out on more in-depth features — for example, Dubber has their own AI analysis platform that coincides with their own solution, but may not be offered by the vendors they partner with. Your organization is most likely not paying extra for the call recording, its more of an added-on feature. While this removes the additional cost, it limits the overall scope of the solution — for example this might not include transcription and analytics. VoIP providers may place heavier restrictions on call recordings, as well. This would come in the form of call recording storage limits, for example only 100,000 hours or 1000 recorded calls. Some providers will also only store the recordings for a limited time, say up to 90 days. Organizations that are looking to stay within a limited budget and do not need to stretch for a stand alone tool — why pay for two tools when you already have one that includes it? As mentioned above, chances are that your Business VoIP provider’s call recording function will be a prebuilt solution from a dedicated vendor. 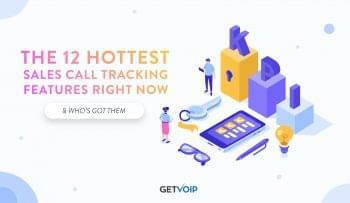 But these stand-alone offerings will generally include far more capabilities than a simple feature added onto your business phone service. 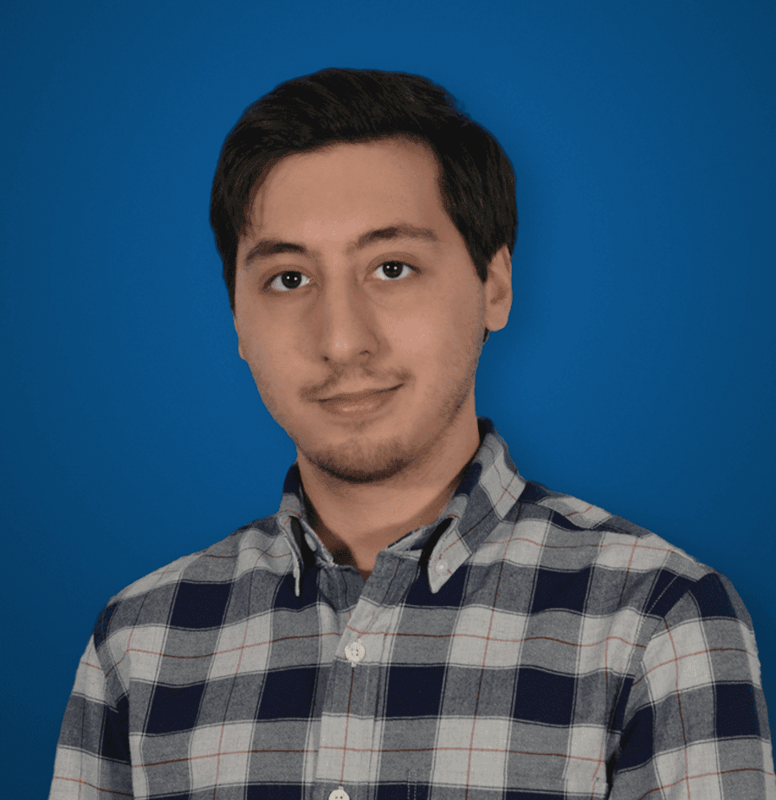 These solutions are billed as their own unique, stand-alone platforms, and will fit under the umbrella as Call Recording as a Service. Dedicated providers offer this software generally to large scale Enterprise organizations, as most smaller businesses do not need the added functionality. These stand alone platforms are accessed just like other cloud solutions, and can be utilized on-the-go and on multiple devices. What is important, however, is to ensure compatibility or integration availability with existing communication solutions. Why Use Included Stand-Alone Call Recording Software? Stand-alone call recording software has pushed the concept and technology even further, moving it from a simple feature into a fully-fledged platform as a service. Hosted call recording has of course made the entire technology much more accessible, and vendors have begun to offer their platform in a much more accessible manner as well. Combine accessibility, along with increased functionality, and dedicated call recording software packs quite a punch that included recording functionality isn’t able to match in most cases. These stand-alone platforms can include their own dashboards as well, providing greater control over the management and analysis of saved recordings. A lot of the time, call recording software can also make it easier for your organization to store, save and manage recorded calls as well. These providers generally include storage with their product without additional cost, or organizations can utilize their own storage methods to circumvent any restrictions all together. Hosted, stand-alone solutions can introduce some really powerful and unique functionality that might be left out of standard hosted PBX call recording. Vendors have expanded platforms to include AI, analytics, and more to fully leverage the insight recorded calls can provide. These solutions can be incredibly versatile and flexible, providing users the ability to record multiple liens simultaneously, and even run the recorder within a virtual environment. 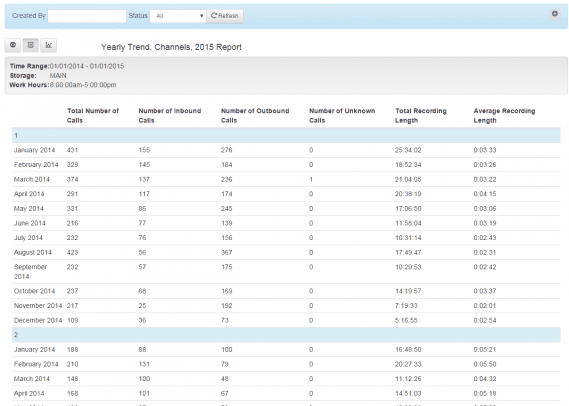 Stand alone platforms can include their own dashboards for more advance management and analysis of recordings. These tools will go deeper than just organizing recordings, and offering playback. Users can generally segment recordings, make notes, and even have a transcript produced in real-time. 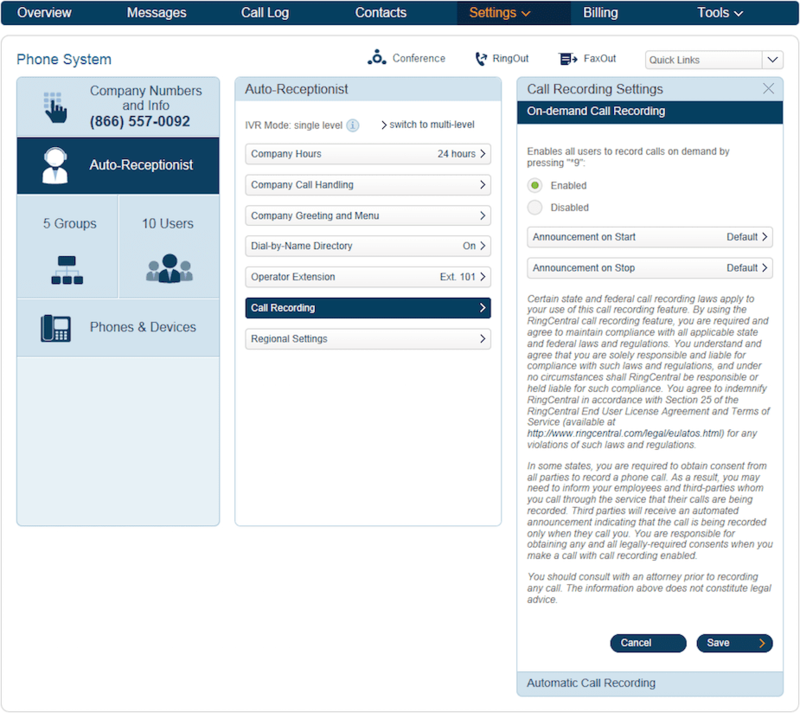 Since a provider is more “hyper-focused” on call recording, they can expand functionality as well with other services and solutions, for example workforce management and AI powered call recording analytics. This will generally be lacking from Hosted VoIP providers as call recording is seen as an add-on to those platforms, not its own service to be expanded upon. Stand-alone call recording software solutions, like OrecX, can be open source which enables users to further expand capability and integration into their existing solutions and platforms. Where Does The Stand-Alone Call Recording Software Fall Short? 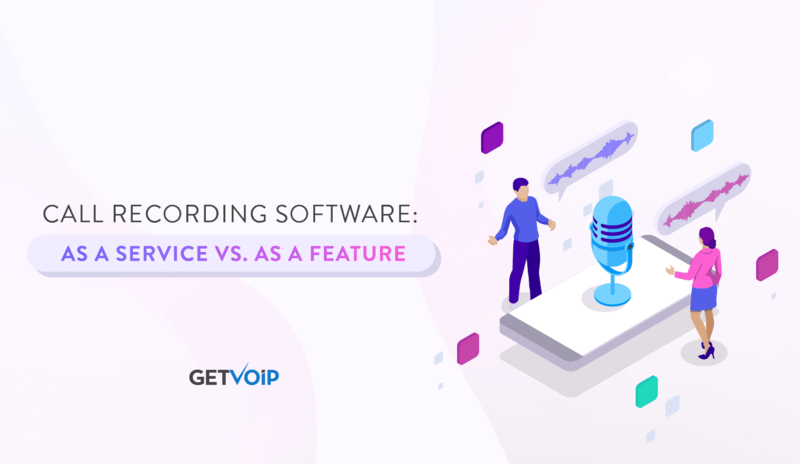 While it might seem as if stand-alone call recording software is the strongest choice, the solutions simply tend to be priced out of the range of smaller organizations. In fact, a number of call recording software vendors only offer their platforms to Enterprise organizations, and instead routing SMB offerings through providers like Nextiva and Mitel. So, while cloud delivery has pushed these costly solutions further into the mainstream, your business still has to come to a decision to determine if the capital should be invested in that specific solution. 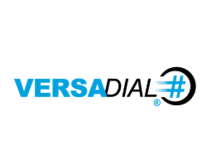 At the end of the day, of your small business is already utilizing a UC or Contact Center platform that has call recording, it might not make sense at all to pay for two solutions simultaneously. Then again, depending on the unique needs of your organization, there might be a high priority placed on recording calls. Either way, your business should be able to recognize that a stand-alone option might not be the strongest choice for every scenario. 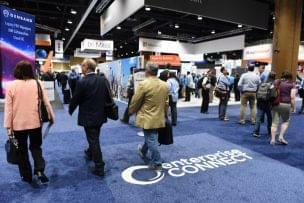 These solutions are overall a bit more geared towards large Contact Centers and Enterprise users. While smaller players do exist, the functionality of these services and the complexity a new platform adds can be overwhelming to an organization lacking a dedicated IT department. While the solution is cloud delivered, it will require proper implementation, especially integration with existing solutions. This, again, can be overwhelming and add further costs, making the solutions less appealing to SMBs that are looking for simplicity. Large Enterprise organizations and Contact Centers that primarily interact with clients and customers through phone calls, this is especially true for organizations that need to adhere to strict regulatory guidelines. Organizations that are looking to really gain the most out of their calls and data will want to utilize an advanced solution — the organizations that can best leverage this data are those that collect the most data (meaning large organizations). Just like with any other business tool or solution, your organization must determine if which is the right fit for your unique needs. Each business must analyze their own budget, their own needs, and the potential downfalls of adopting a new platform before diving right in — and even though call recording seems less intrusive that a full communications platform, no one feature should be overlooked. Stand-alone call recording solutions enable organizations to really gain an advantage by leveraging the massive data and information collected during phone calls. Recordings can be a life-line for organizations that deal with regulatory compliance, or even those simply looking to find out how to better optimize service. And while call recording is included with the vast majority of Business VoIP and even Call Center software, these feature sets might not deliver what your team was hoping for. As with any other platform, there is a trade-off between these two, and each solution will play a unique roll in enabling organizations to leverage their data in the best way possible.